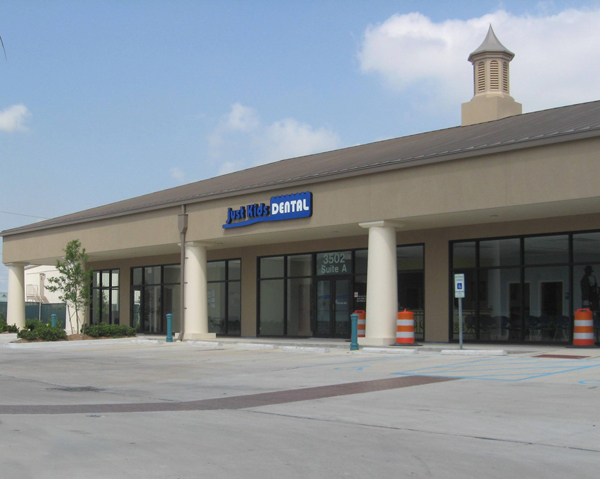 Just Kids Dental is a children’s dental clinic founded in 2009 in Baton Rouge, Louisiana. Through the collaboration of General, Pediatric and Endodontic Specialists, we provide affordable oral health care to a largely underserved portion of the population, and all children between the ages of one and 21. In July 2010 the New Orleans location opened its doors to kids of all ages. We welcome little kids, big kids, college kids and all kids at heart. In May 2011 we opened our third location in Kenner, to better serve the children and families of that area. We believe every child deserves a healthy smile. We provide dental health care to the kids in our neighborhood in a fun, safe and caring environment. We offer information to children and their parents on the importance of continued oral health care and how they can participate in maintaining a healthy smile. Just Kids Dental exists for the purpose of providing dental care for our patients in a safe and caring environment, improving their overall medical condition resulting in a higher quality of life. We fulfill this vision by treating each and every patient with compassion and respect, as if he or she were our own child.